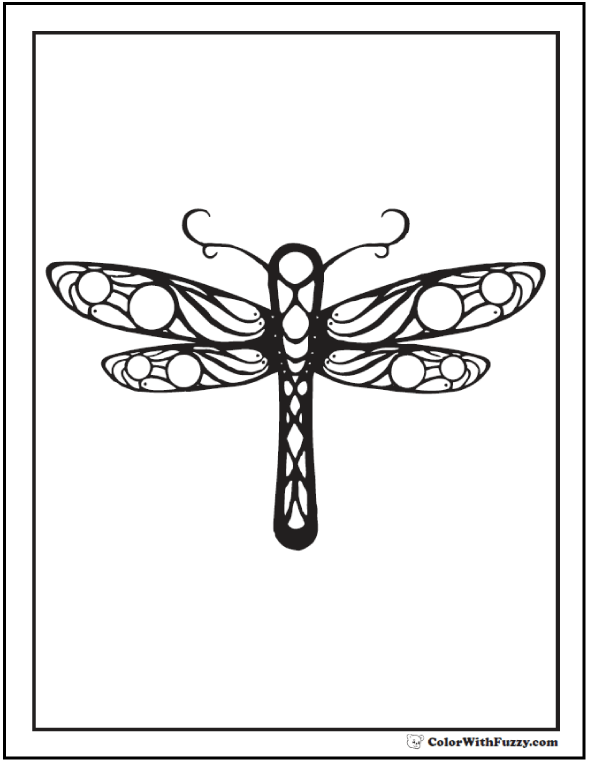 This geometric dragonfly coloring page has symmetrical patterns that are easy for little hands to color. Dragonflies are second only to butterflies for their beauty and kids love to see them sparkle in the light. They're great in pastel or iridescent blues, purples, and greens. This PDF prints to 8.5x11 inch paper. Color a geometric dragonfly coloring page for spring and summer!